AWC has an extensive offering of ANSI standards. 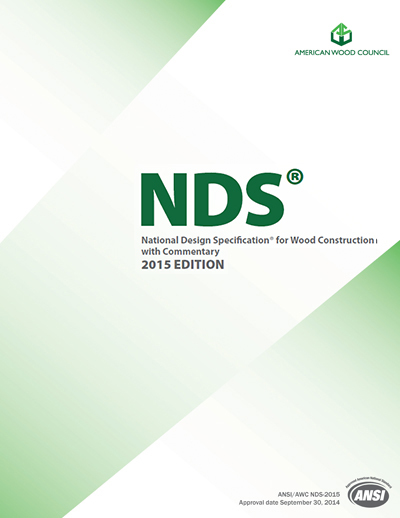 Our latest publications include the 2015 NDS and 2015 WFCM, along with the 2015 SDPWS and 2007 PWF, all of which are available for purchase. Explore our popular Calculator Apps available for desktop, iOS, and Android. 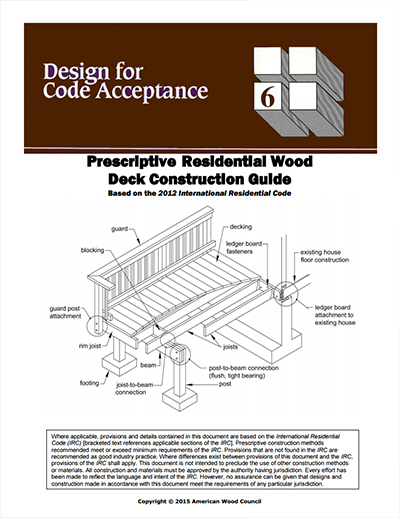 Prescriptive Residential Deck Construction Guide. 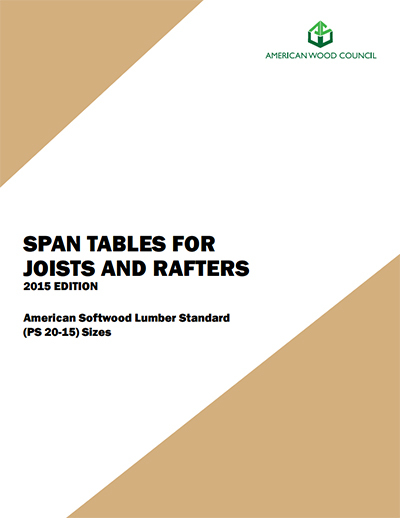 Span Tables and Design Values for Joists and Rafters. 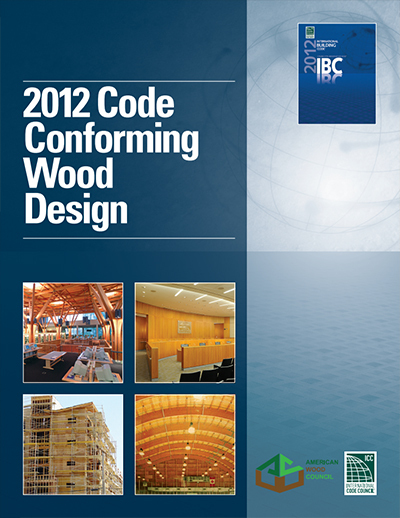 Resources for companies and individuals in the fire industry, building construction, and wood products. Guidance on how lumber is being labeled for retail sale.